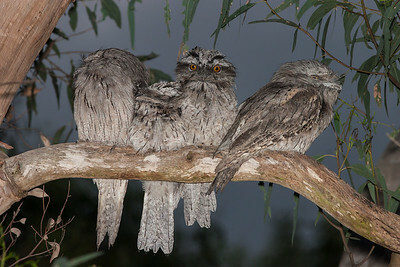 An adult (left) and two juvenile Tawny Frogmouths perch awaiting nightfall. 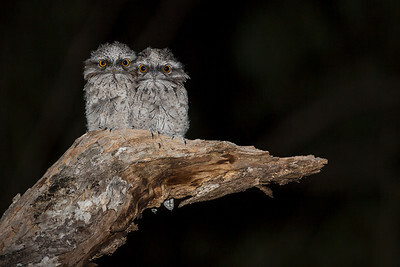 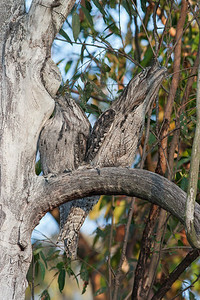 Two adults (one at each end) and two juvenile Tawny Frogmouths at dusk. 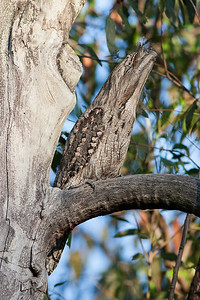 A frogmouth blending into its environment. 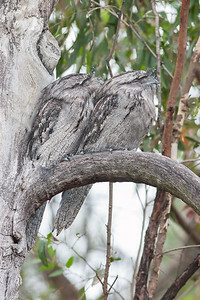 A pair of frogmouths blending into the habitat. 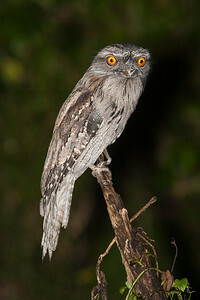 A frogmouth on her daytime perch. 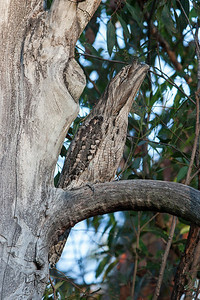 Two adult Tawny Frogmouths blending into the environment. 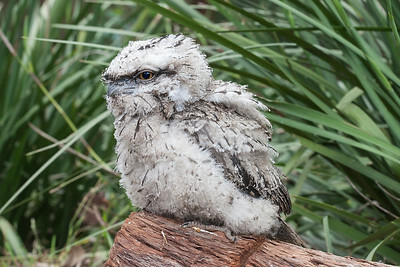 A juvenile (orphaned) frogmouth in care of a wildlife rescue volunteer. 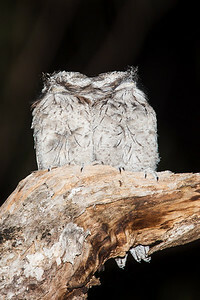 Two juvenile frogmouths waiting for their parents to return with food. 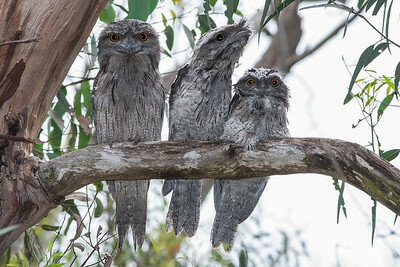 Two juvenile frogmouths await their parents for a feed. 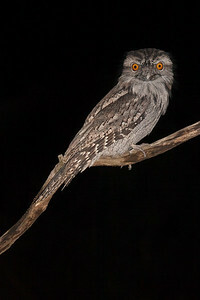 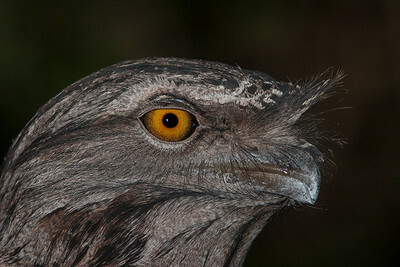 A frogmouth perched at night, watching for prey. 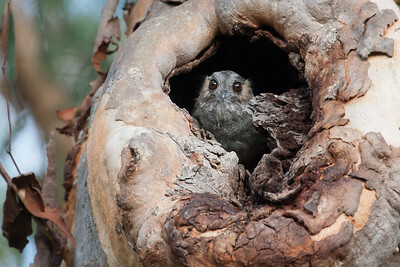 An owlet-nightjar peers out from its daytime hideaway. 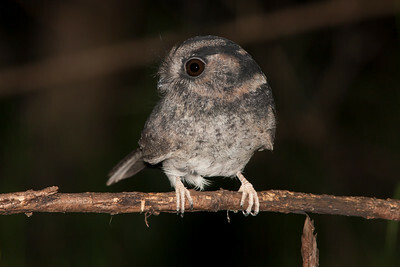 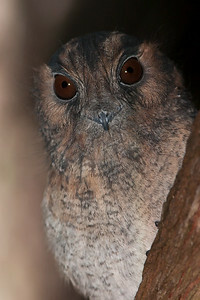 An owlet-nightjar watching for prey. 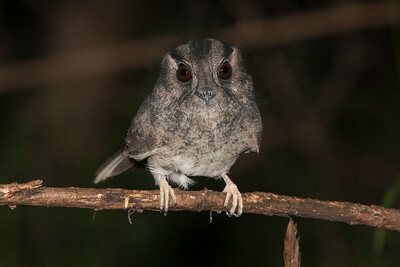 An owlet-nightjar watching me at night. 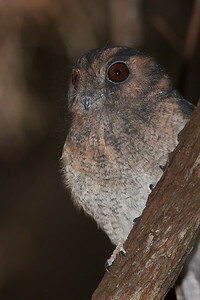 An owlet-nightjar perched at night.